The K&M 14047 Stool has a very comfortable padded leather seat with both height and angle adjustment. While sitting the pneumatic spring guides the seat up and down. The tube frame is extremely durable with anti-slip rubber feet. The foot rests are adjustable as well with anti-slip rubber. 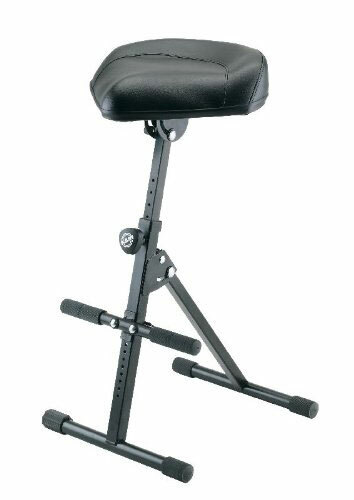 As with any K&M product, this stool is built to last and perform along with you on stage, in the studio and during rehearsal.